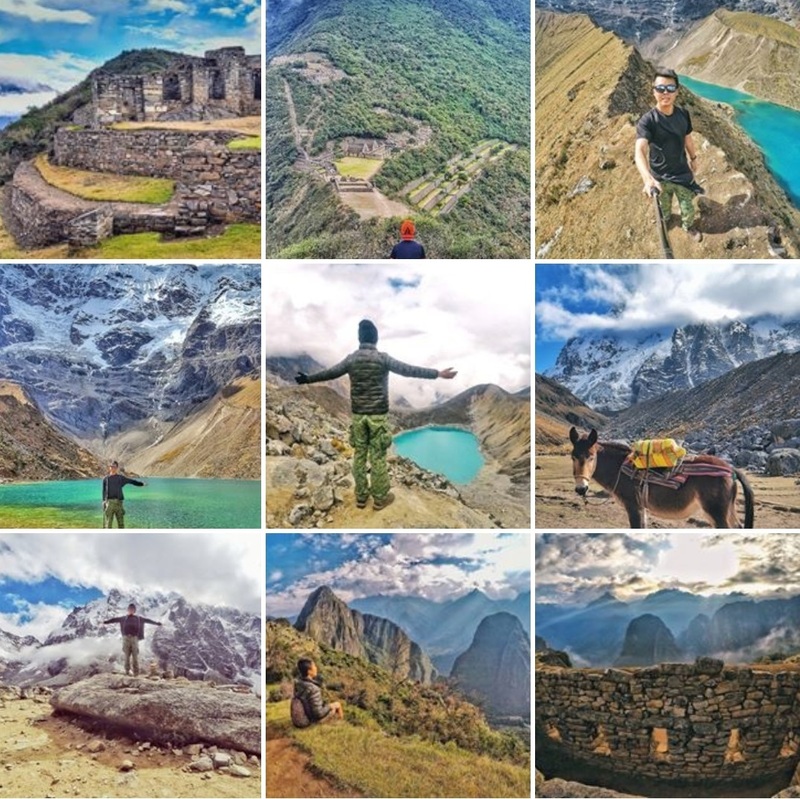 Located 72km west of La Paz, the administrative capital of Bolivia, there are a couple of options to get there. The easiest way - and one I’d recommend in hindsight – is to take a tour, which includes everything from hotel pick-up to a guide and maybe, lunch. I'd really recommend going on a tour because you'll actually know what you are looking at. If you don’t like going on tours, here’s how you can do it yourself. 1. Take a bus, taxi or the very convenient Mi Teleferico (cable car system, BOB $3) up to ‘Cementario’. 2. Across the street from the cemetery are florists and to the right of this area are minibuses heading to Tiwanaku. 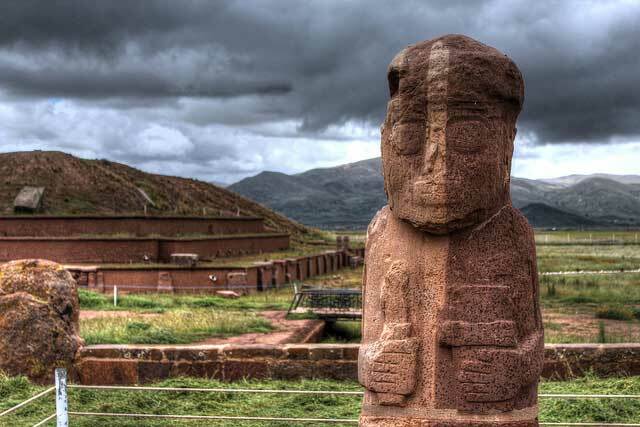 If you use maps.me, the location is clearly marked ‘buses to Tiwanaku’. 3. The minibus costs BOB $15 (USD $2.20) and passes through the neighbouring city El Alto and picks up passengers along the way. The journey is around 60-90 min depending on the traffic. 4. If you’re lucky, the bus drops you off directly at the ruins. If not, it drops you at the village of Tiwanaku and you have to take another transport (BOB $3) or simply walk the 2-3 km to the ruins. 5. The entrance fee is BOB $100 (Aug 2017) and includes entry to the 2 museums on-site. 6. The return journey is the same, but only leaves when the minibus is full. The 10 of us in the bus got tired of waiting for the remaining spots to fill up and paid an additional BOB $4 for the driver to leave immediately. 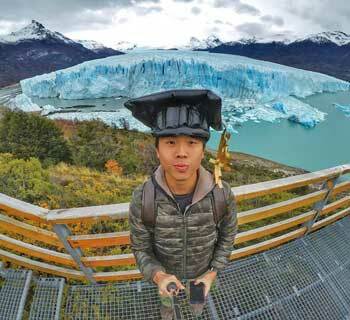 Upon reaching the hot and deserted-looking site, you have the option to hire a guide. I did not, and regretted it. It was like walking through pieces of fallen rock without knowing what was going on. But first, I took a trip to the two museums to get a better understanding. Sadly, the museums are mainly in Spanish. Nevertheless, it was impressive to see a huge piece of monolith in the centre of the first museum: the Bennett Monolith. 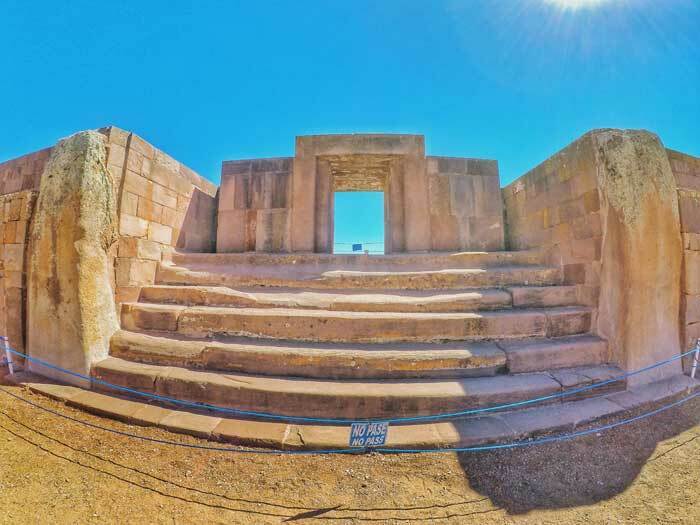 It stands over 7m and weighs over 20 tons, and is covered with carvings and symbols of the Tiwanaku. 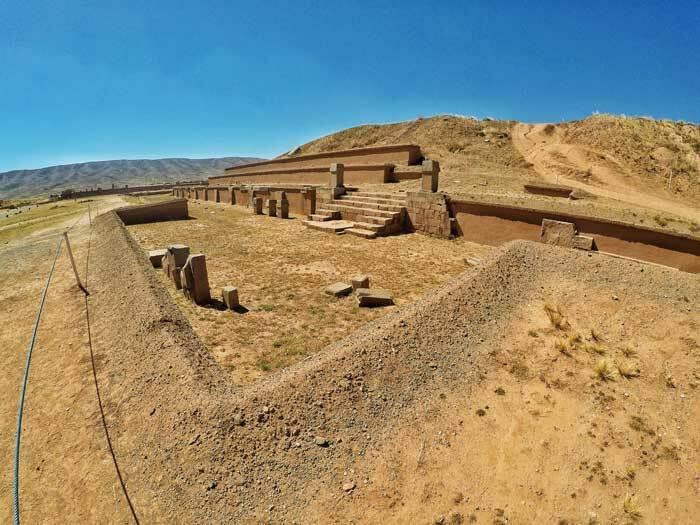 What I felt undeserving was that such an important piece of the Tiwanaku culture was named after a foreigner who excavated the site. 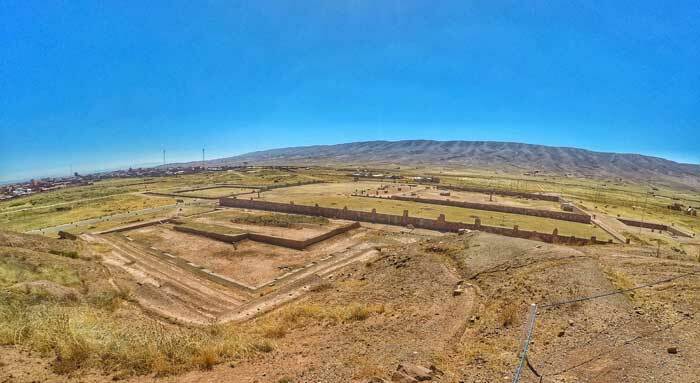 The other museum touches briefly on Bolivian civilization and displays many ceramics, artefacts and weapons from the different eras, of which the most outstanding display is a Tiwanaku mummy. Visiting the museums - however limited they are - before the ruins was a good choice because there weren’t many signs on the site. The available ones only tell the dimensions and names without telling the purpose, which is again why I’d recommend hiring a guide. As I stepped onto the open-air site, I couldn’t help but compare it to the San Ignacio Ruins in Argentina and the Trinidad Ruins in Paraguay. All three are UNESCO sites and all feel deserted. The midday sun shone strongly. There were few visitors. There was no tree, no shade, just the ancient ruins. Yet these ruins are enigmatic and defies the law of physics and mathematics, even by today’s standards. For example, the ruins were made from basalt and sandstone slabs and weigh as much as 25 tons each. 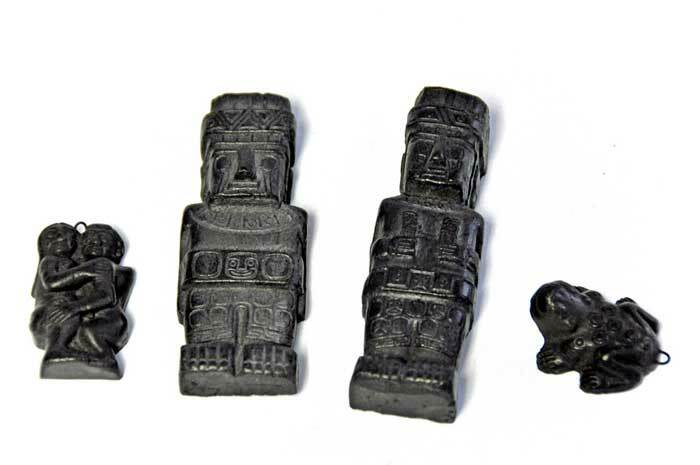 But the stone quarry from which these stones originated was located on the western shore of Lake Titicaca, 15 km away. Furthermore, these stones looked as if they were laser cut to fit perfectly; difficult even with today’s technology. How did the ancient civilisation move the stones over such long distances? How did they carve the stones so precisely, with perfect circles and squares, so many years ago? Most impressively, how did they build their temples mathematically accurate according to the rise and fall of the moon and sun? Mysterious wonders like this always amazes me. The first stop is an adobe pyramid made of basalt stones, arranged to match the Southern Cross constellation. It consisted of 7 platforms and was once 18m high, an imposing figure of the site; now only the bottom part remains. Climbing up the hill next to it gets rewarded with a panoramic view of the site. This semi-subterranean temple is an open-air sunken rectangular courtyard decorated with stone carvings of human heads, demons, animals and some say… aliens. It’s interesting to note that the human heads look like they represented people with different facial features than the locals. Had the Tiwanakus met other civilisations? Or were they simply a fragment of their imaginations? In front of the underground temple is the Kalasasaya, a temple built on an elevated platform. The walls were built with perfectly-fitted red sandstone, another indication of their engineering prowess. Speaking about engineering geniuses, a monumental piece also stands on the platform. The Gate of the Sun was cut from a single piece of rock and weighs over 10 tons. In the centre is a carving of the Sun God, surrounded by 24 rays of light, each representing an hour of the day. The elevation of this temple and the Gate of the Sun had archaeologists believing that Kalasasaya might have been used as an observatory. In the middle of the temple is a statue: The Ponce Monolith, another monument named after an archaeologist. At least he was Bolivian. 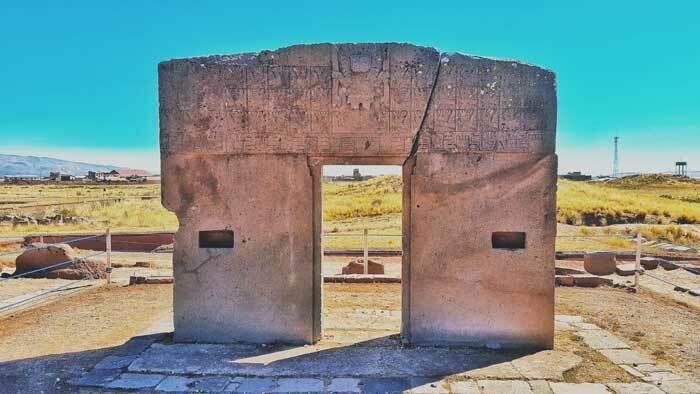 Near the Western end of the temple is the counterpart of the Sun Gate, the Puerta de la Luna (Gate of the Moon). 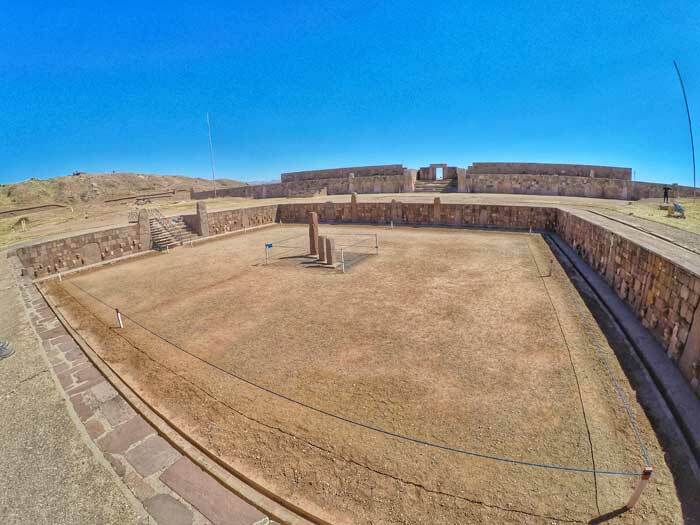 Not much is known about these ancient ruins of Tiwanaku. Scientists and archaeologists have different theories, some of which conflict each other. Aside from the carvings on the ruins, one can only imagine the history and purpose of the culture. Personally, I wasn’t as interested in these ruins as others I had visited. It was heavily looted and left to erode and the Bolivian government did a terrible job preserving them. On a whole, these low-lying ruins look like they are leftovers of a bad clean-up job. 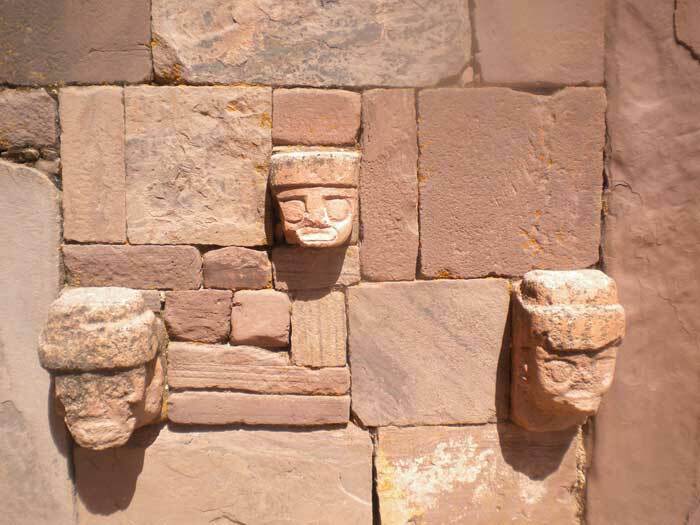 In fact in 2005, UNESCO threatened to remove Tiwanaku’s status as a World Heritage Site because of the government’s misuse of different materials in restoration work, which would compromise on the historical integrity of the complex. 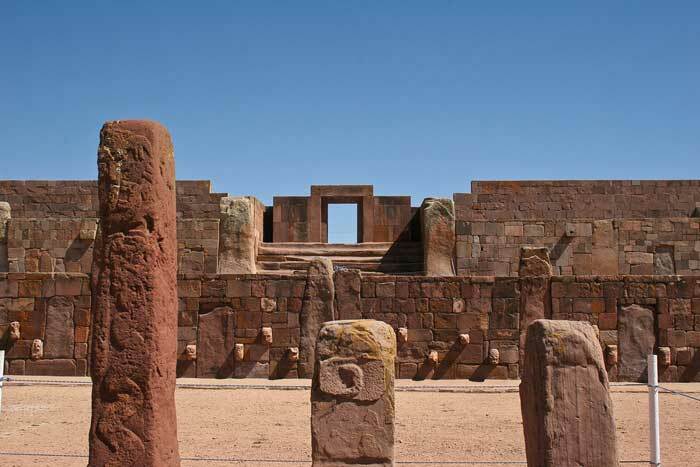 The Tiwanaku civilisation faded into obscurity. Scientists couldn’t decide if it was climate change, diseases or catastrophic natural disasters that wiped them out. When the Incas arrived years later, they believed the site to be a creation of their Sun God, Viracocha, and not of an earlier civilisation. Wow, what a way to be forgotten. 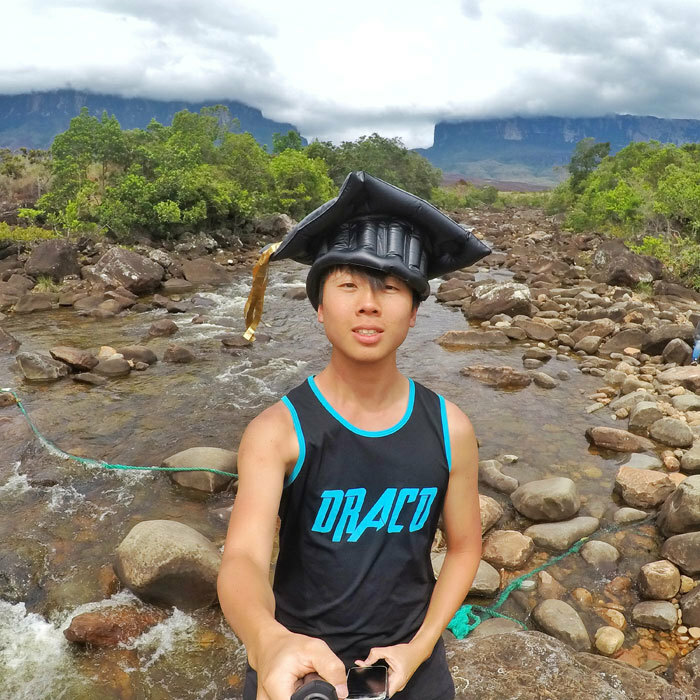 An Alternative Way to Enjoy the Site? A Peruvian from my hostel had the best time at Tiwanaku. He is a guy that is permanently high on drugs; and naturally, when he visited the site, he popped a few psychedelics. 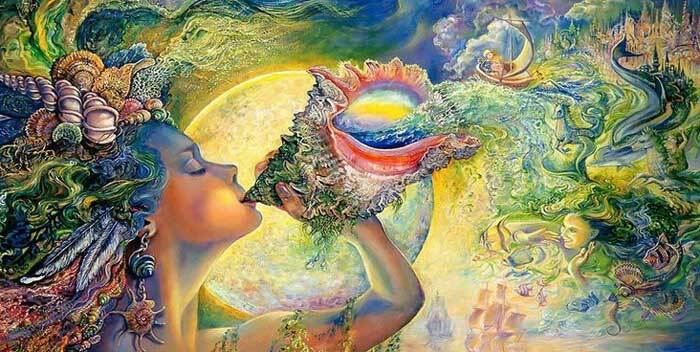 He told stories of colourful visions, spirits and even conversing with Pachamama, the Mother Earth. I’m not condoning drugs, but boy, do I meet interesting people on my travels.